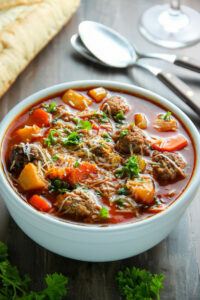 This Italian Meatball Soup is perfect for nights you want hearty comfort food fast! 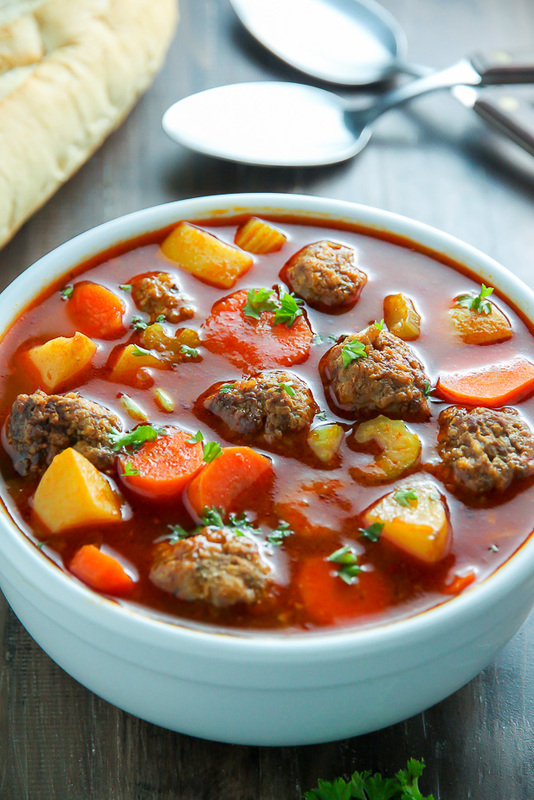 Loaded with tender beef meatballs, potatoes, and plenty of veggies, this flavorful soup is always a crowd-pleaser. An easy and affordable dinner option sure to please the whole family! Alright friends, show of hands, who is stoked it’s finally soup season?! Soup, stew, chili, or chowder – whatever you call it, I love it. 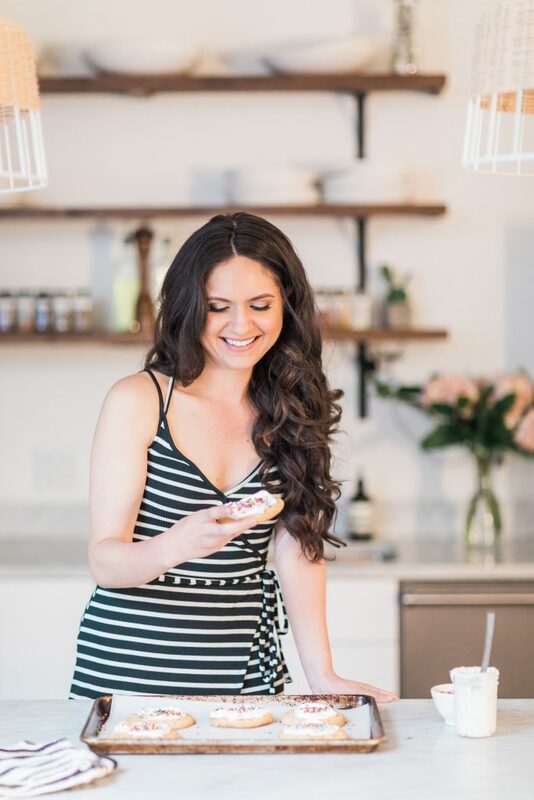 I especially love making a big batch at the beginning of the week; it’s my secret weapon for easy lunches and quick dinners. No hangries here! I love meatballs and I love soup, so I’m not sure why it took me so long to think up the delicious idea of the combining the two. Full disclosure: I can’t even really take credit for thinking this one up. My magical mom – reigning soup queen and creator of the famous flu fighter chicken noodle soup – made us meatball soup on the regular as kiddos. So I guess the real question is why it’s taken me 20 some years to make it on my own?! I’ve got some major catching up to do. But, as usual, I digress! Let’s get started on this simple meatball soup adventure! First up, we make the meatballs! For the meatball mixture you’re going to need ground beef, garlic, egg, Parmesan cheese, Italian seasoning, fresh parsley, panko bread crumbs, a little warm water, salt, and pepper. ← I know, a lot of ingredients!!! But I bet you have most of them already hiding in your fridge and pantry. 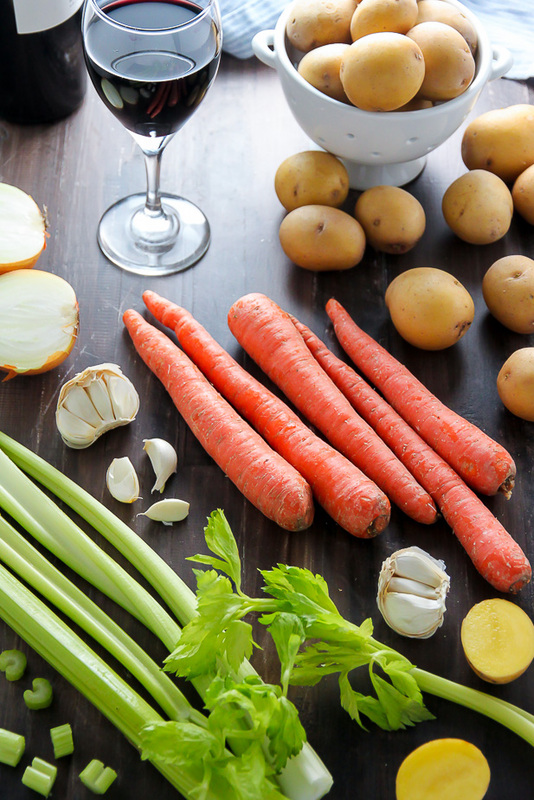 In this soup we have onions, garlic, carrots, celery, and potatoes! If you’re looking for an extra veggie fix, adding a few cups of baby spinach will work wonderfully. 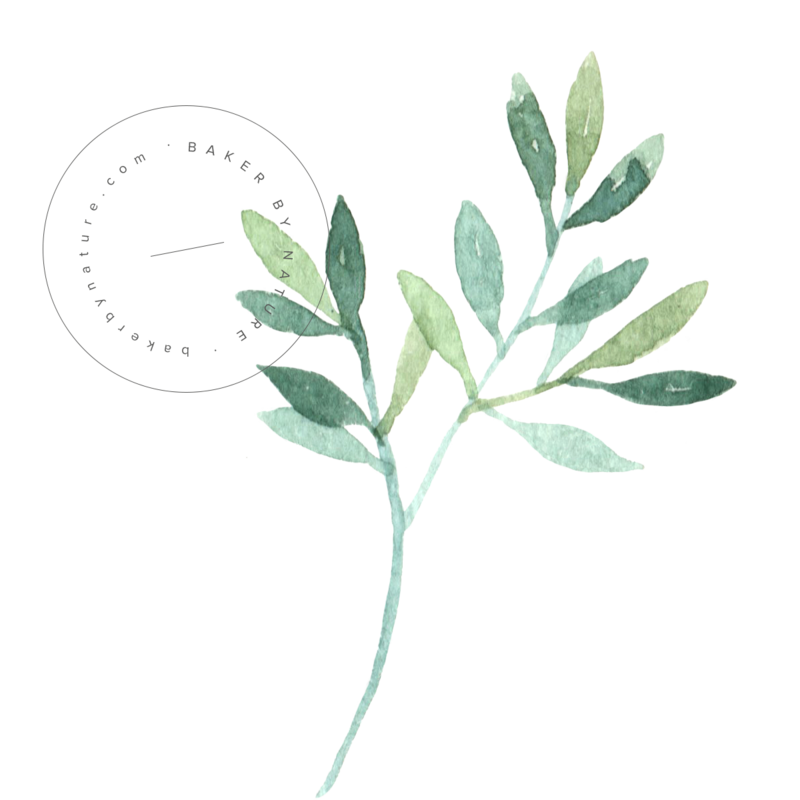 Toss it into the soup 5 or 10 minutes before serving – that way it won’t wilt too much. My mom actually always made this soup with spinach (or escarole), but my rebellious adult soul choose to not. I’ll take my daily dose of green in the form of these bacon and jalapeno scones, thank you very much. So good with soup! The liquid base of this meatball and potato soup is extremely flavorful thanks to the combination of beef broth, chicken broth, Parmesan cheese, and tomato paste. A tiny touch of crushed red pepper flakes add a subtle kick. Y-U-M. This recipe is soup-er easy (← couldn’t resist! ), but the longest part is waiting for it to simmer. Pour yourself a glass of wine (or two), kick up your feet (when was the last time you did that?! ), and take in the amazing smells coming from your kitchen. Before you know it, it’ll be time to scoop and serve. Happy slurping, soup lovers! 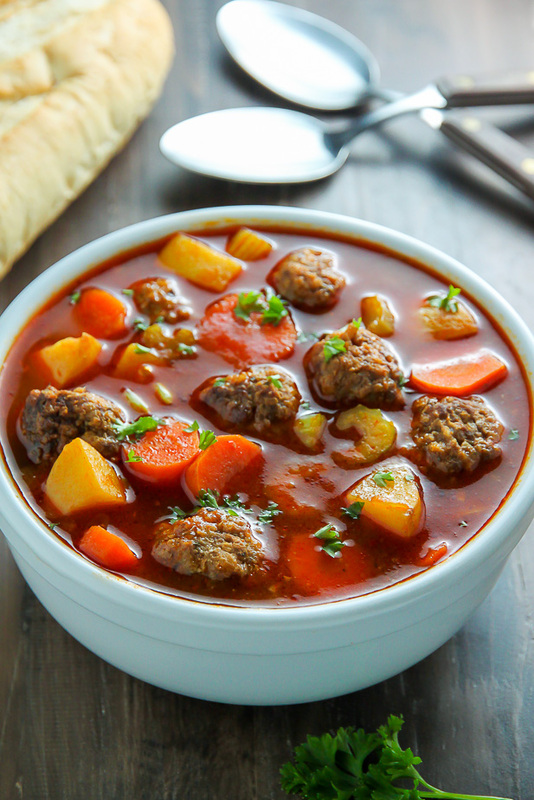 Healthy, hearty, delicious Meatball Soup loaded with carrots, celery, and potatoes. 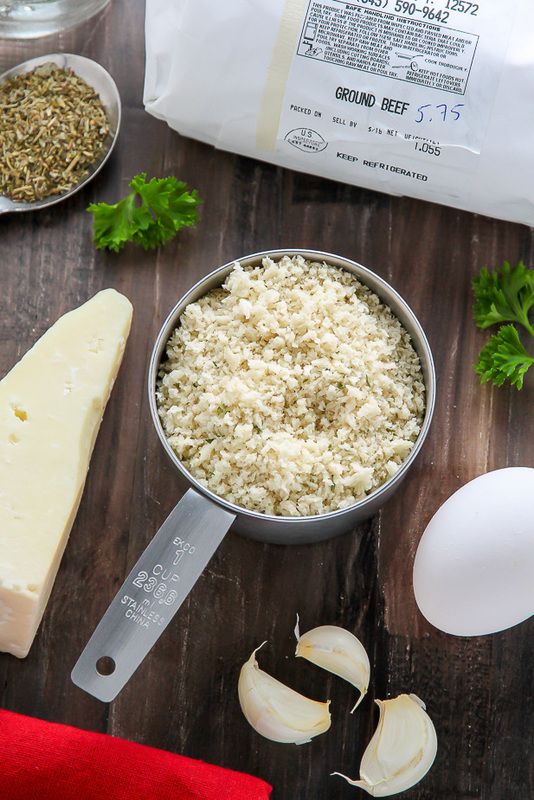 In a large bowl combine the beef, garlic, egg, cheese, Italian seasoning, parsley, salt, pepper, and panko; use your hands to combine. Slowly add the water, a few tablespoons at a time, using your hands to incorporate until combined. The mixture should be very moist but still hold its shape when rolled into meatballs. 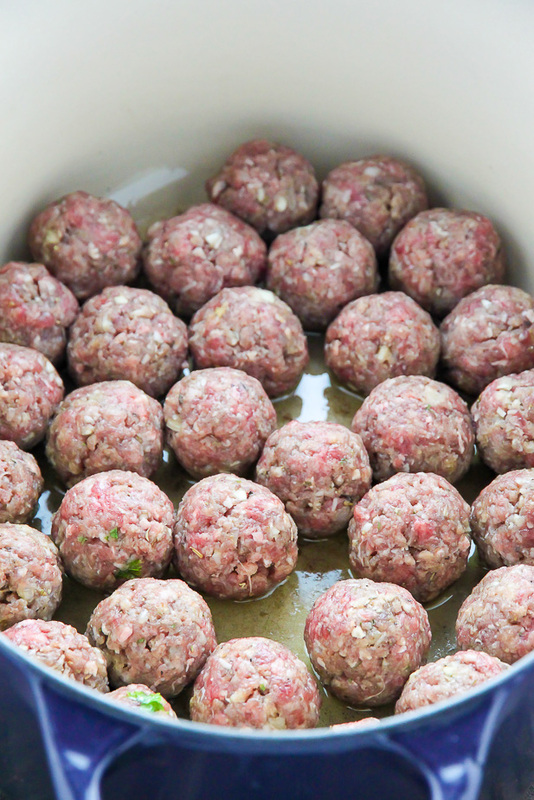 Using a measuring spoon, roll one tablespoon sized balls of meat into round, right balls; repeat with all meat. Add oil to a large dutch oven (or soup pot) and bring to a simmer over medium-heat. Add in the meatballs - all at once if there's room, or in two batches - and cook for 3 minutes on each side. Using a slotted spoon carefully remove the meatballs, transferring them to large plate; set aside until needed. Keep pan (and all remaining oil inside) on the burner over medium-heat. In the same *pan you cooked the meatballs, add crushed red pepper flakes and onion and saute for 6 minutes. Add in the carrots, celery, and potatoes and cook for 8 minutes, stirring occasionally. Add the garlic and cook for one minute. Add beef broth, chicken broth, tomato paste, and Worcestershire sauce (if using), stirring until combined and the tomato paste has completely dissolved into the broth. Increase heat to high and bring to a boil. Stir in the bay leaves, reduce to a simmer, and cook for 45 minutes, stirring occasionally. Add the meatballs back into the pot and cook for another 15 minutes. Stir in the cheese, taste for seasoning (add salt and pepper if needed), sprinkle with parsley, and serve at once. Add more cheese to each bowl, if desired. *There should be enough oil in the pan left from the meatballs, so you shouldn't need to add more before adding the onions. Looks so nice and warming.. Yummy! So much FLAVOR in one soup! I love that you used both beef and chicken broth. Can’t wait to try it out, pinned! There is definitely a ton of flavor in this one! I hope you love it! Hi Marissa. That means so much to me! Thank you 🙂 I hope you love the soup. And if you ever have any questions, please feel free to bend my ear. Enjoy! Thank you so much!! 🙂 My kids devoured it and I’ve made it again at their request tonight. Thanks for the wonderful recipe!! Yes you do kind of wander. Hi Bill. Is there a question you have? Oops. Never mind. I totally missed it in the recipe. Haha glad you caught it 😉 Enjoy, Mel! Yay! So happy to hear it, Brenda! Last minute Pinterest idea for dinner! Loved the soup. It was delicious. It was a winner for everyone today! Thank you. Sounds yummy! Plan on making it for dinner tonight on this cold day! I’m thinking about making this for the guys I work with (about 30). I want to cheat and use the already made frozen meatballs. How much would I need to use to feed them all? Hi Tammie. I would suggest doubling or even tripling the recipe to feed that many men! I’d guess you’ll need at least 3 bags of mini frozen meatballs. I made this the other night and it was delicious! Thanks for the recipe. Hi! I’m really enjoying your recipes!! I’m going to make your Italian meatball soup. How much does the recipe make? How much per serving? I have never used Panko because the crumbs are too hard for my teeth what can I use or does the Panko breadcrumbs become soft in the meatballs? Would it help to grind them up in my coffee grinder?